All repairs are done on site in our Seminole County, Florida location. We are an approved repair shop for the following luggage manufacturers: Travel Pro, Atlantic, Delsey, Briggs and Riley, Victorinox (Swiss Army Luggage), Ricardo and Skyway. You can mail your repairs to us, we will call you once we receive your items. We will make the repairs and ship them back to you. 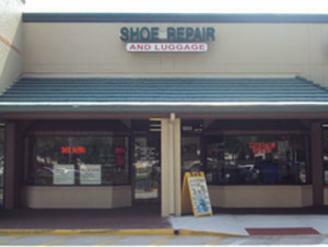 Our Altamonte Springs, Florida repair shop is a full service shoe, luggage, and leather repair shop. We repair orthopedic shoes as well. 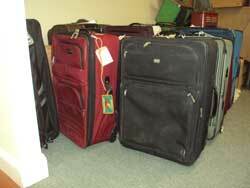 We also repair women's purses and handbags. All repairs are done on site. 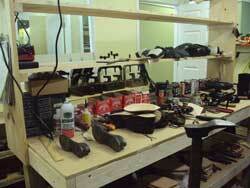 You can also purchase shoe polish, shoe laces, leather polish and other products in our repair shop. Mail us your repairs if it's more convenient for you. We are not far from Lake Mary, Longwood, Maitland and I-4. We are in Seminole County Florida. We are more than happy to serve customers who live throughout the state of Florida or United States. Many of our customers live in the following zip codes: 32701, 32714, 32715, 32716, 32718, 32732, 32733, 32746, 32795, 32747, 32750, 32752, 32779, 32791, 32765, 32771, 32708 and 32719. If you live outside of these zip codes and driving to us is not convenient feel free to mail us your repairs. We repair leather boots, mens and womens shoe soles, tips and heels, orthopedic shoes, shoe straps, elastic, purses, ladies handbags, briefcases, and backpacks.